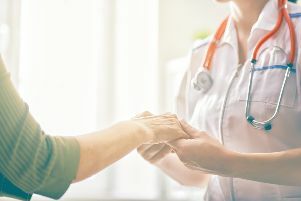 In IBS Awareness Month, Yorkshire Post journalist Laura Drysdale shares her own experience of the living with the condition and explores some of the support in this region. For a long time, I was one of the many people living with Irritable Bowel Syndrome too embarrassed to talk about what daily life can be like. Still part of me feels hesitant, knowing that the condition - with symptoms including stomach pain, bloating, constipation and diarrhoea - retains a stigma. But only by sharing stories and experiences can that be broken down. Laura Drysdale, who has lived with the condiiton for much of her life. I’ve had symptoms for as long as I can remember, but it was in my teenage years, after a series of tests and medical procedures to rule out the likes of Coeliac and Crohn’s disease that they were put down to IBS. It was hard to swallow. Like many, I was desperately hoping for an easy fix to the symptoms which had begun to have a debilitating impact on my life. But instead I was confronted with what is usually a lifelong problem with an unknown cause and no cure. Diet changes and medicines can help control the symptoms, but IBS affects people in different ways - and not just the bowel and digestive system. Nausea, headaches, back ache, anxiety, depression and tiredness may be associated with the condition, the latter not helped in some cases by frequent trips to the toilet both day and night. It can take time to figure out what works best for you and how to most effectively manage flare-ups, which can last for days, weeks or months at a time. It is one of the reasons why Matthew Chaddock, who too has lived with the condition since his teens, decided to set up an IBS support group in his home city of Leeds in the years following his diagnosis. “I wanted to provide an environment where people can talk about this condition without feeling stigmatised, where they can be open about it and hopefully not feel embarrassed by speaking,” he tells me. “The other thing was I’d done a lot of researching different things [about the condition], different treatments. I found some worked [for me], some weren’t so good and some were just based on urban myth. But I thought, I wish I’d known about this information sooner. It’s out there but it isn’t easily disseminated to people. Throughout April - annual IBS Awareness Month, The IBS Network is encouraging people with the condition to speak out about it and helping them gain the confidence to do so. The charity, which relies wholly on donations and has provided support for over 27 years, is running a ‘Let’s talk about IBS’ campaign. It aims to raise awareness and understanding of the illness, tackle the stigma and reassure those living with it that they don’t suffer alone. Thought it affects around 12 million people, the feeling of isolation is something Bronwen Barber knows all too well. For many people with IBS, there are days when symptoms are worse than others. Flare-ups can happen for no obvious reason but sometimes have triggers including alcohol, caffeine, certain foods, stress and anxiety. For me, I struggle most with this unpredictability. Such uncertainty can make everyday situations challenging. I worry. Where is the nearest toilet? Am I going to be okay after I eat this? Do I have access to medication and water? How will I get through this journey? What if I become ill at work, in someone else’s home or whilst out and about? Can I get through this meeting? What will people think if I have to suddenly leave? The list goes on. It can be a vicious cycle - the anxiety can exacerbate symptoms and the intensity of those can bring about more panic. 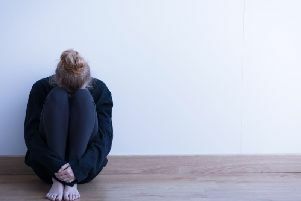 It is why, in South Yorkshire, a health trust has launched a course specifically designed to support people with IBS struggling with worry, anxiety, stress or depression. The course, run under the Sheffield Health and Social Care NHS Foundation Trust over five weekly sessions, focuses on helping people to live well with the condition. The more I can control, the easier it seems to be to break the cycle, as I can run through reassurances in my head. You’ll find me sat at the end of a row - never in the middle - for ease of a quick exit, frantically researching unfamiliar places to map where facilities are (thank goodness for supermarkets and shopping centres after the closure of so many public toilets) and never leaving the house without my IBS Network ‘can’t wait’ card, which can give you access to loos when out and about. Like Matthew, I have found the reaction when talking about the condition to be predominantly supportive - and as The IBS Network’s chief executive Alison Reid explains: “IBS can be a very isolating and debilitating condition so it’s important people feel like they can talk openly about it.” I couldn’t agree more. The greater the openness, the greater the understanding. Research to understand more about IBS is continuing across the country, including here in Yorkshire. The ‘Triton’ study, looking at whether the drug ondansetron can improve diarrhoea symptoms in IBS patients, is taking place in locations including Leeds, Sheffield and Barnsley. Also in Leeds, a research study is looking at whether gut bacteria is a factor in IBS, whilst the Atlantis Trial, starting soon, will explore whether the drug amitriptyline can improve symptoms in people with IBS and is recruiting patients from West Yorkshire as well as elsewhere in England.